As we move into another New Year we thought we might take a look at a selection of the exciting events that are planned for the year ahead. This is just a brief selection of the exciting events planned and by no means a complete one, as there are many more regular Race Weekends, Tours/Shows and Autojumbles throughout the year. In addition to this we are continually adding more and more events as time goes on. For a full list of events check out our “Calendar of Events” section for any new/recent additions. Details of all events can be found within our “Calendar of Events” and you can find more event specific details by taking a look at the advertising flyers that appear within our “Event Advertising Flyer” sections. As always Carole Nash Insurance continue to sponsor many bike shows throughout the country, starting with the Classic Bike Guide Winter Classic at Newark (East Midlands, Nottinghamshire) on 7th January. Mortons Classic Bike sponsor many Autojumbles throughout the year, with the Kempton Park Autojumble on the 21st January. The Normous Newark Autojumbleat Newark Showground on 29th January. Sees the return of the Carole Nash Bristol Classic Motorcycle Show at the Bath and West Showground (Shepton Mallet, Somerset) on the 4th February. Bonhams hold their Les Grandes Marques du Mond au Grand Palaison 9th February at the Grand Palais, Paris. The annual Dinner Dance and 2016 Awards of the British Historic Racing Club VMCC Ltd will be held at the Mercure Daventry Court Hotel on 11th February. 17th-19th February (Friday to Sunday). The Carole Nash MCN London Motorcycle Show will dominate the ExCel Exhibition and International Convention Centre in London over a three-day event on 17th-19th February, where Coys Auctioneers present a consignment of Hitchcocks motorcycles to go under the hammer. 18th & 19th February (Saturday & Sunday). The Classic Dirt Bike Show, sponsored by Hagon Shocks is also being held at The International Centre in Telford, Shropshire over the weekend of 18th-19th February. Another regular event, the Normous Newark Autojumble will appear on the 26th February. March starts off with Mortons Motorcycle & Autojumble Show at Kempton Park on 11th March. 11th & 12th March (Saturday & Sunday). The Carole Nash sponsored show moves north of the border for the MCN Scottish Motorcycle Show which is also held on 11thand 12thMarch, the venue being the Royal Highland Centre in Edinburgh. The British Historic Racing Club also kick off the year with their first meeting (the BHR Test Day) on 24th March at the famous Mallory Park Race Circuit in Leicestershire. In April we start with another one of the many Normous Newark Autojumbles, on 2nd April. 22nd & 23rd April (Saturday & Sunday). Next in line is the first of two great annual shows at the Stafford County Showground, the37th Carole Nash International Classic Motorcycle Show (followed by the Motorcycle Mechanics Show in October). The Stafford Bike Show weekend also offers the opportunity for you to pick up a bargain at the Bonhams auction. April also sees the return of another great annual event with the Steam and Vintage Rally at the Leisure Lakes in Tarleton, Nr Southport, Lancashire, over the weekend of 22nd-23rd April. Great fun for all. 6th & 7th May (Saturday & Sunday). An absolutely fabulous weekend is in store over the 6th-7th May for the Endurance Legends event at Donnington Park, with the UK’s only 4hr Classic Motorcycling Endurance Race, for more details see our “Calendar of Events”. 13th & 14th May (Saturday & Sunday). 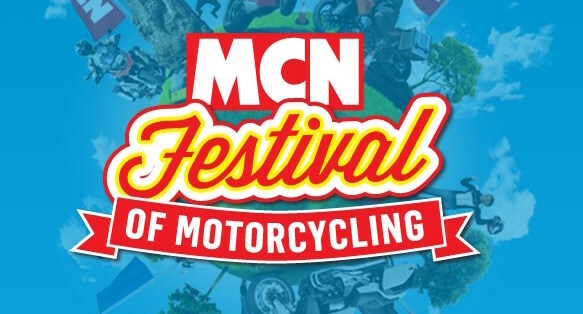 MCN’s Festival of Motorcycling is to be held at the Peterborough Arena over the weekend of 13th-14th May. The Southern Classic Motorcycle Show & Autojumble will be held on 20th May at Kempton Park. 20th & 21st May (Saturday & Sunday). The 20th May seems very popular as British Historic Racing Club have a race meeting at Darley Moor over the weekend of 20th & 21st May as well. Race, Rock and Ride are back again for their second year at the Santa Pod circuit for a weekend of drag racing, displays, fun and stunts over 21st & 22nd May as well. 27th May (Saturday) to 9th June (Friday). The month of May also sees the start of the World Famous Isle of Man TT, which starts on 27th May and finishes on 9th June. The Isle of Man is an absolutely fantastic place to visit with loads of attractions and wonderful roads to ride. Lots more about the Isle of Man can be found on our website. The first of two VMCC Training Days takes place on 3rd June (the second one being in September) both are being held at the Curborough Sprint Course, a great and unique opportunity to ride a veteran or vintage machine. Another regular and popular autojumble, the Normous Newark is back on the 4th June. 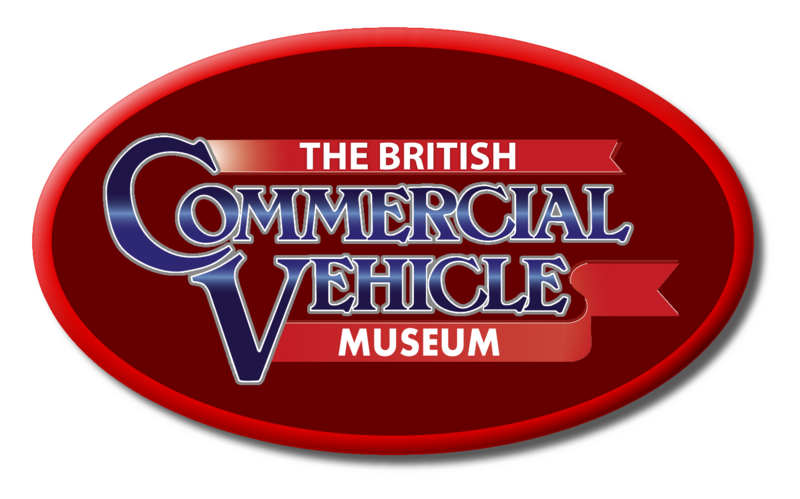 The world famous VMCC Banbury Run, a superb collection of Veteran and Vintage motorcycles sets off from the British Motor Museum at Gaydon on 18th June. 23rd(Friday) to 30th June (Friday). June is avery busy month for the VMCC as in addition to their Training Day and Banbury they also organise the VMCC Scarborough Week at the Arosa Caravan and Camping site from 23rd to 30th June. 1st & 2nd July (Saturday & Sunday). British Historic Racing Club hold another one of their excellent weekend events on 1st and 2nd July at the Cadwell Park Race Circuit in Lincolnshire. Another super Normous Newark Autojumble at Newark Showground. The Vincent Owners Club present a Classic Motorcycle Event at the Crich Tramway Village where you can step back in time, ride old trams and visit a recreated period street complete with shop and pub. Another great Motorcycle and Autojumble Show at Kempton Park on 22nd July. 22nd & 23rd July (Saturday & Sunday). British Historic racing Club hold another of their great weekend meetings, this time in Anglesey, N Wales. The VMCC Taveners Section host another VMCC Founders Day on 23rd July at Stanford Hall, with lots more going on around the country at other VMCC Sections. 3rd to 7th August (Thursday to Monday). 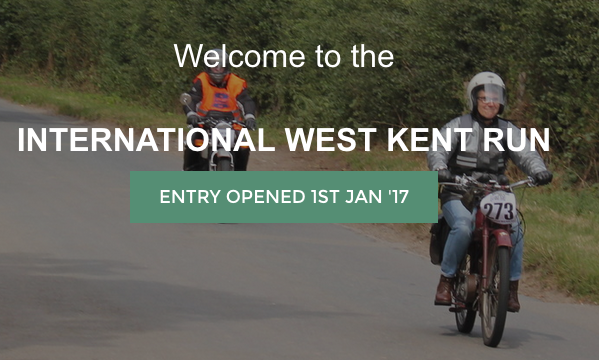 Another great VMCC Section organised event the International West Kent Run (IWKR) is a 4 day event (3-7 Aug) for both 2 and 3 wheeled machines belonging to VMCC members, with Sunday a display/public day for visitors. The regular Normous Newark Autojumble returns once again to the Newark Showground. 19th& 20th August (Saturday & Sunday). British Historic Racing Club hold another one of their excellent weekend events, this time in Anglesey, N Wales. 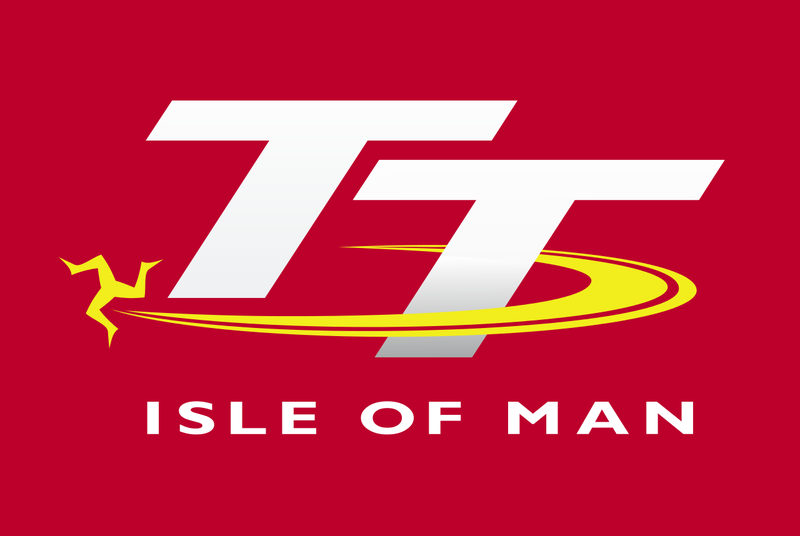 The World Famous Isle of Man Festival of Motorcycling (incorporating the Manx GP and Classic TT). Another superb highlight of the motorcycling calendar. Refer to our many articles about the IOM and its attractions. The second of the VMCC’s Training Days, (the first one being held in June) at Curborough Sprint Course. The training day on 2nd September will allow a unique opportunity for you to ride a Veteran or Vintage motorcycle. Another great Motorcycle and Autojumble Show at Kempton Park on 16th September. 23rd & 24th September (Saturday & Sunday). British Historic racing Club hold another of their great weekend meetings, this time at the famous Cadwell Park Race Circuit over the weekend of 23rd & 24th September. The Leighton Hall Motorcycle Hill Climb organised by Sherrard Classic Vehicle Events Ltd, returns for a third year to Leighton Hall on 24th September, open to all bikes, old and new, with no restrictions. Once again the regular Normous Newark Autojumble returns to the Newark Showground. 14th & 15th October (Saturday & Sunday). The 24th Carole Nash Classic Motorcycle Mechanics Show returns to the Stafford County Showground for the weekend of 14th and 15th October, once gain incorporating Bonhams Auctioneers for a really great weekend. Another great Motorcycle and Autojumble Show at Kempton Park. Another one of the regular Normous Newark Autojumble will be held at the Newark Showground. 26th(Thursday) to 29th October (Sunday). 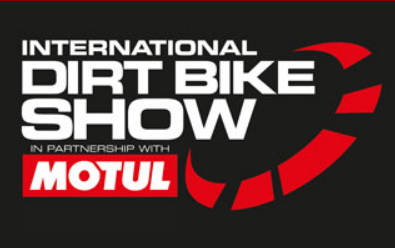 The International Dirt Bike Show takes place at Stoneleigh Park for this super 4 day in door event for all fans of Motocross, Trials and Enduro. The National Motorcycle Museum opens its doors for another Museum Live with free admission Stars on Stage and lots going on throughout the day. 11th& 12thNovember (Saturday & Sunday). November sees the return of the Lancaster Insurance Classic Motor Show for a weekend show at the National Exhibition Centre in Birmingham, predominantly cars, but also with motorcycles and automobilia. The Southern Classic Motorcycle Show & Autojumble will be held on 2nd December at Kempton Park. Last one of the year, the final Normous Newark Autojumble of 2017 will be held at the Newark Showground.